The city says more ships could dock in anticipation of the storm, which is headed for the Carolinas. A cruise ship originally bound for Bermuda briefly docked in Portland to avoid the oncoming Hurricane Florence, and more could arrive this week. The Oceania cruise ship Insignia made the unplanned stop Monday to steer clear of Florence, which is barreling toward the Carolinas and is expected to make landfall Thursday night. 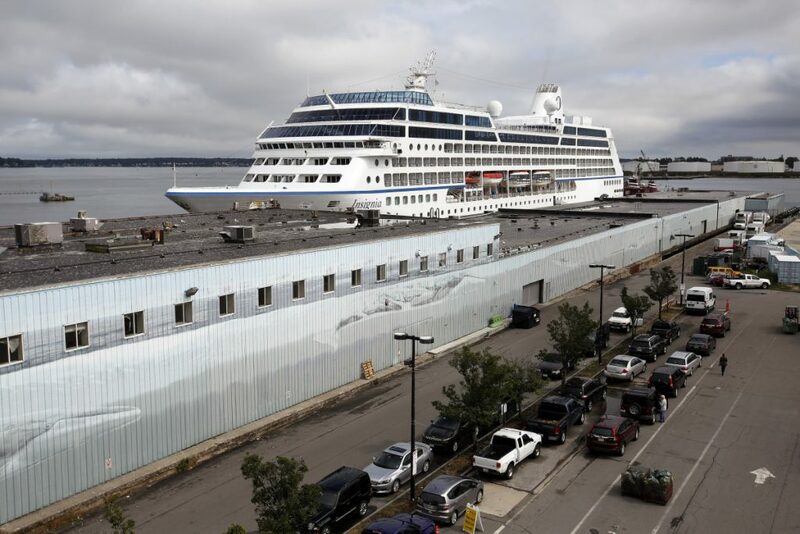 City spokeswoman Jessica Grondin said future unplanned cruise ship stops are possible. According to a city-run ship schedule, September is the city’s busiest month for the ocean liners. Passengers aboard the Insignia said they were disappointed they were forced to change course, but understood why they had to dock, The Associated Press reported. Passenger Brittan Graves says the safety of the passengers and ship was more important. The ship set sail from Portland on Tuesday afternoon headed south. A Coast Guard spokesman said there the agency didn’t know whether more ships were already en route or planned to seek refuge in Maine waters. They are only required to file plans with the Coast Guard if they dock in port.